Time to Play: 70-90 Min. Beforehand, however, the interested chain stores want to rent the most promising shops in the building. children's cloths next to the ice-cream parlor? The shop selling firearms next to the game store? Who pays you for realizing his interests? Come, see and build! 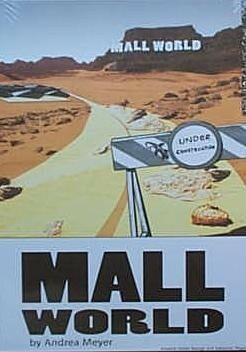 Welcome to Mall World! The game: players are planning and building the Mall World shopping center. For their clients, international chain stores and conglomerates, they realize clothing, food, hobby, and sports shops for different target groups. The orders come by fax, payments are made on a monthly basis into the more or less official Swiss bank account. Shops are approved of and built like mad.